A design process definition can be explained as the creative and iterative methods one goes through in order to solve for a particular challenge, need, or goal. Within architectural design, one’s design process goes through various stages that begin with an initial creative vision that ultimately gets built as a building that occupants can use. 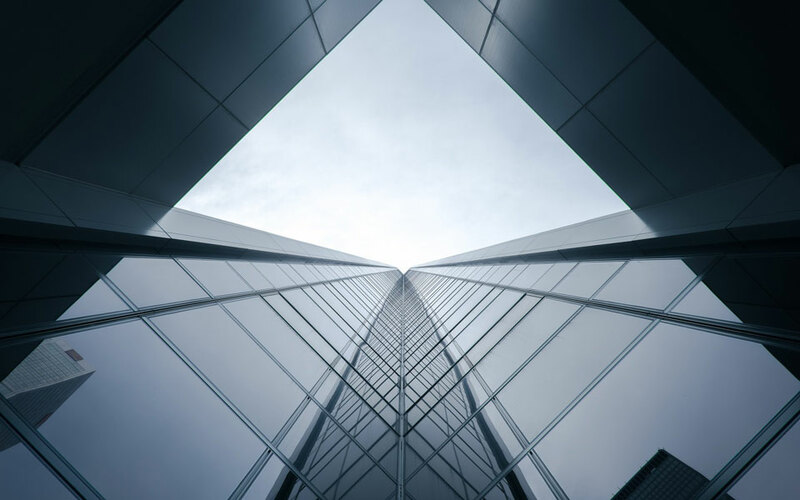 The goal for architects is to optimize their design process in order to create the highest quality architectural design in the shortest amount of time, and within budget. Yet, there is more to an architect’s design process than simply solving for a design challenge. As an architect, it is important to rise above the design challenge – to solve for it in a way that function, beauty, and meaning can converge into an architectural building project that has high quality of poetic experience. 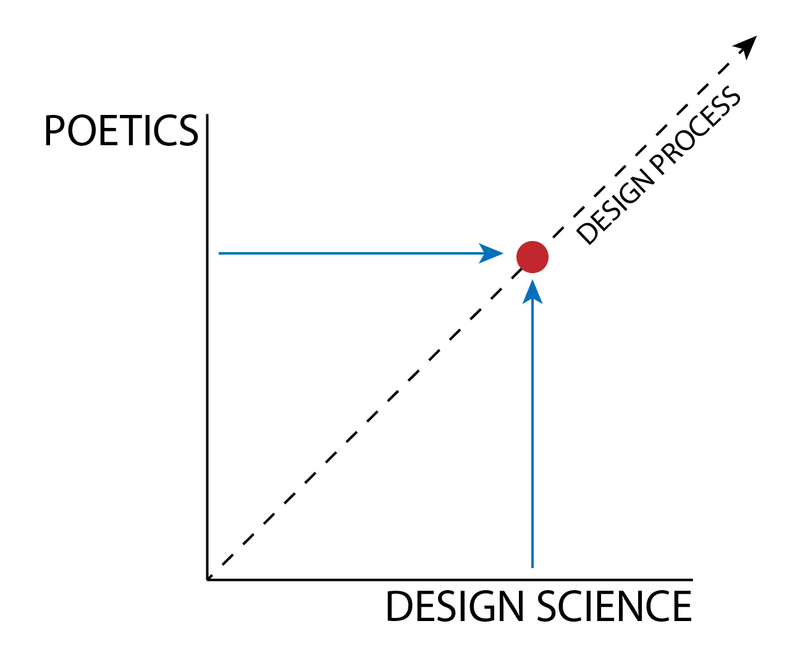 Additionally, it is important to strive for the most ideal design process synergy that fuses design with science. By converging poetics with design-science, your architectural design process will unlock extraordinary design visions, while also serving as catalyst to build those visions as completed architectural building environments. The above three phases can be injected into your architectural design process as key techniques by which to greatly increase the successful integration of design-science to reach highest level poetics. The more you refine the above three stages, the better your design process feedback loop becomes: where research and strategy feeds your multi-sensory designing, while your impact study (understanding the impact of your building solution once built and in-use) will feed the research and strategy phases for future projects. This becomes a way by which to optimize your architectural design process, from project to project to help you create a ever-improving body of work. Since your architectural design process stages work together to form a methodological system, it is only natural for there to be constraints in the system. In other words, your design process is likely to have weak points within it – whether these are full stages that need to be improved, or re-orienting your design perspective for a given design challenge. The key is to figure out what specific architectural design process constraints are holding your design back, and then work to improve them. Furthermore, you can leverage your design process by understanding that changes made during the earlier stages (such as the schematic or design development phases) cost less time and money to fix. For this reason, it is wise to iterate smartly in the beginning stages to achieve convergent design solutions that solve for the design challenge – again, using design-science to help the project reach high level poetics for occupant experience. • Is my initial creative vision built and used as I originally intended? If not, why not? • What could I have done during the design process to make this environment even better? • What problems do I see that I need to address about my design process for my next project? Being one’s own critic is an important part of optimizing your design process. In fact, understanding what makes each of your design process activities important and necessary to reach the ultimate design helps because you question why you do what you do. You may consider: Did this design activity distract or derail my most successful design solution? Or did this activity strengthen my ultimate design solution? For both questions, you may also like to consider how to make each design process activity a stronger link within your design process system. If you are not able to achieve the desired results wanted from your design solution, it becomes helpful to get to the root of your design process problem. Many times, what appears to be problematic with a design can get repeated from project to project; thus, hindering the overall quality of your architectural building designs. To improve your design process and design quality, you will need to strengthen the weakest link in your design process system. Usually, a designer’s weakness will “show” from project to project, as each hinders the design outcome, until the design process problem has been eliminated. Of course, you may have a wonderful design quality as well. Improving your design process is not only about strengthening the weakest links in the system. It is also about knowing how to significantly improve what is already working. This will take you into new realms where you can become a leader in your field as you uncover exciting innovative opportunities and solutions. For example, you may strive to challenge your creative thinking within your design process to extend further by using a new design tool within your design process. This will likely help you to think about your design problem and its solution from a new lens. Again, the key is to gain awareness over your design process mindset, skillset, and toolset. Know how each is affecting your design results and how those results ultimately influence and impact the people it serves. To even further advance you design process, you will find it useful to pull from other disciplines. For example, literature can help you better understand how to integrate aspects of narrative like juxtaposition, foreshadowing, and climactic moment(s) to incorporate into your design. Furthermore, your design can pull from the genre of science fiction, which often frames the premise of a plot by asking the seemingly simply question: What if? When you learn to analyze the design process of creatives from other disciplines, your own design process is likely to improve as you gain insight into new ways to thinking and creating. Such design process analysis can fuel entire design innovations. Just imagine how Zaha Hadid’s building complete with an exoskeleton may have come about within her design process. Did she use “what if” thinking to design structure on the outside of the Morpheus Hotel? (2) The key is to think laterally while engaged in your architectural design process. Finding connections and relationships in seemingly unrelated topics can often lead to major insights and breakthroughs. Many types of design process challenges can surface while working on an architectural design project. For example, striving to create a great solution for one challenge can actually create other problems within the environment once deployed. Just imagine how the noise from an HVAC air duct might interfere with any acoustic requirements within a given space – like listening to another person while they are speaking. (1) Such design solution “trade-offs” can surface when designing, and can really detract from poetic occupant experience if not properly noticed and corrected. The key is to find convergence points within your design solution. This is quite the opposite situation from a design solution causing other problems. Instead, this is when a design solution solves for many design challenges at once. This can occur if, during your design process stages, you can “see” where the design challenges for a given project all converge. That is, how can your solution solve for these challenges with the highest poetic architectural design creation at once. Throughout all design stages, communication is a key ingredient that you, as an architect, can improve to optimize your design process. Communication occurs between you and your visualizations, between you and your design team, between you and your client(s), and between you and your building occupants. In essence, your design process communication is very important to get right. You may begin to take a closer look at your design tools. Are these architectural tools helping you to make real improvements and unique insights into an extraordinary architectural design? Or are these tools detracting from your architectural design results – perhaps because you need to learn more about how to use them fully, or because you need a more advanced tool to “see” your design idea properly. Additionally, the tools you use to communicate with your team and with your clients are critical. Do you waste time repeating ideas that get missed by your design team, or getting innovative ideas passed over because a client does not fully understand their beneficial impact? Be sure to hone the way you communicate within and about your architectural design. After all, the quality of your design communication can make or break your architectural design process system. It is likely that to reach the very best design solution, you will need to iterate an idea, or brainstorm a multitude of ideas that you can compare. From this point, you will be even more certain that you not only arrived at the best solution because you explored many others, but you can be more certain that the solution is not created from a “default” mode of design process thinking. As an architect, it is critical for you to learn to “see deeply” into your design challenge and design solution. And once you arrive at a seemingly good design solution, you may like to ask: How can I push this design into even more extraordinary realms? In the end, your design process deliverables will vary depending on the current project phase. For example, your client may like to see an initial concept design still rendering in more preliminary stages, but for later stages they may like to see a walk-through animation, physical model mock-up, or even a virtual reality design experience. For this, it is important to ensure that you understand your audience, which in this case is your client. Be sure you are well aware of their bottom-line needs and goals for the project, and then use your design process to innovate toward those needs and goals. This will ensure that your deliverables are both poetic and innovative – while also showing your client how the poetics and innovations help them reach their bottom-line. Your client(s) will thank you for this, and you will have an easier time getting your more innovative design ideas approved. Remember, your architectural design process is a system that can be focused to help you achieve extraordinary architectural designs faster. Above are numerous key methods by which to improve your process of architectural design. Yet, you will likely need to go further. This is why I created the HPA Design Formula MasterClass – to help you focus your design process even further. This design process course helps you to gain mastery over the next evolution of architectural concept design – by helping you to understand, optimize, and improve your architectural design process system. To discover how to learn even more advanced architectural design process mindsets, skillsets, and toolsets, I invite you to watch the HPA Design Formula MasterClass. Simply CLICK HERE to join for immediate access to the MasterClass, plus so much more!